What a fantastic photo of Miss Marcie. 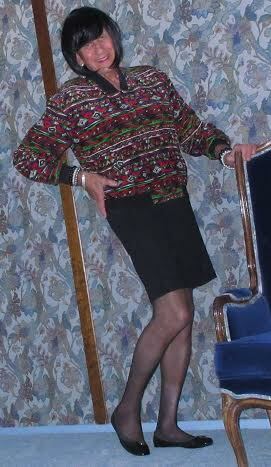 I love her patterned sweater and black mini skirt; it's the perfect winter outfit for an afternoon out. Her beautiful smile completes this look.